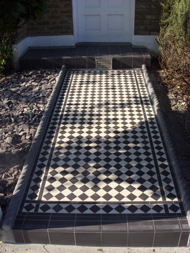 We are a meticulous tiling company covering Central/South London and Surrey. Tilestyle are experienced in all areas of tiling from Victorian to ceramic, stone and contemporary glass. We can advise you with ideas, use the highest quality materials and pride ourselves on our attention to the finest detail. Our services include all aspects of wall and floor tiling, bathrooms, kitchens, conservatories, entrance halls, wetrooms, Victorian reproductions, and under tile heating. Tilestyle can also undertake the installation of your complete bathroom or kitchen covering all aspects of plumbing, electrics, plastering, carpentry and decorating. Please browse the gallery pages of our website for an overview of some of our completed projects, view our testimonials page or contact us for a free quotation.